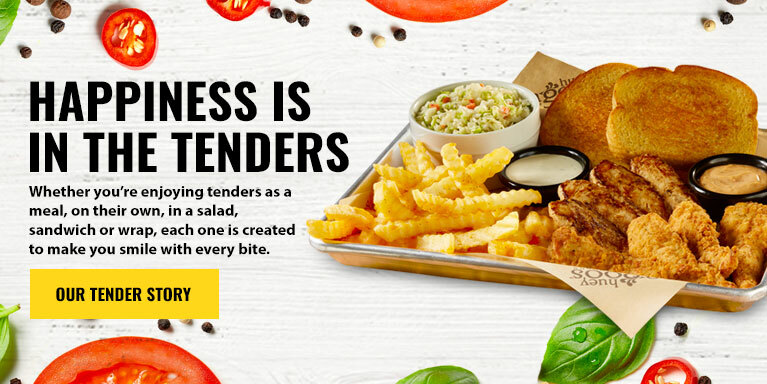 Whether you’re enjoying tenders as a meal, on their own, in a salad, sandwich or wrap, each one is created to make you smile with every bite. 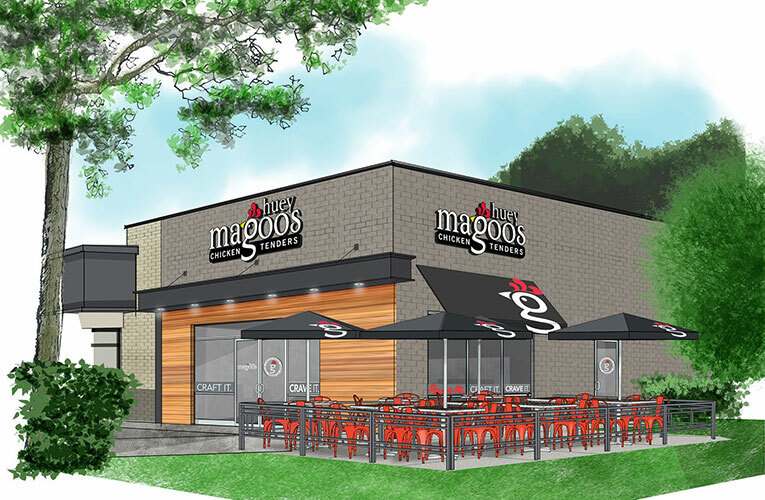 Open Your Own Huey Magoo’s in your Neighborhood! 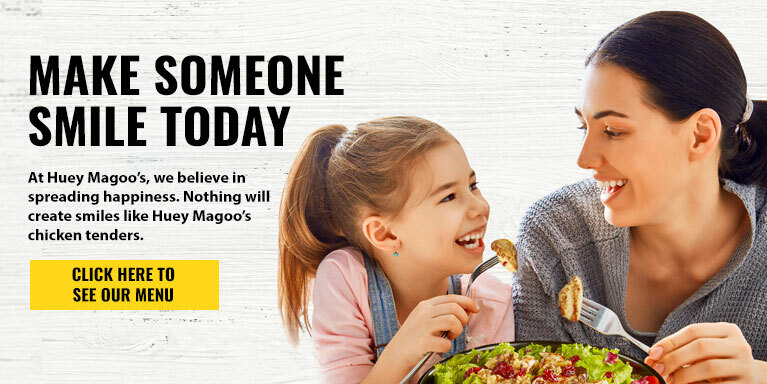 At Huey Magoo’s, we believe in spreading happiness. 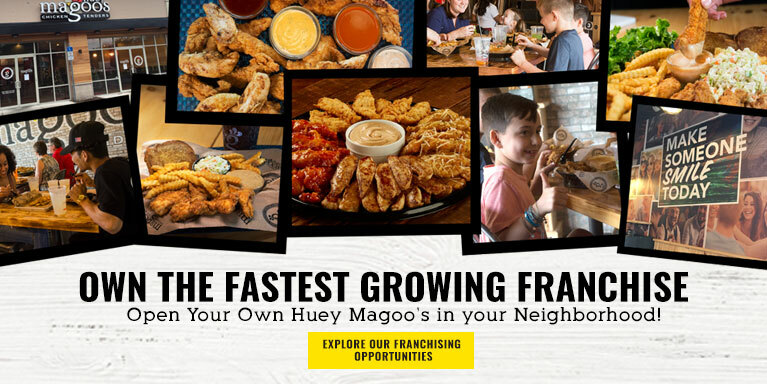 Nothing will create smiles like Huey Magoo’s chicken tenders. 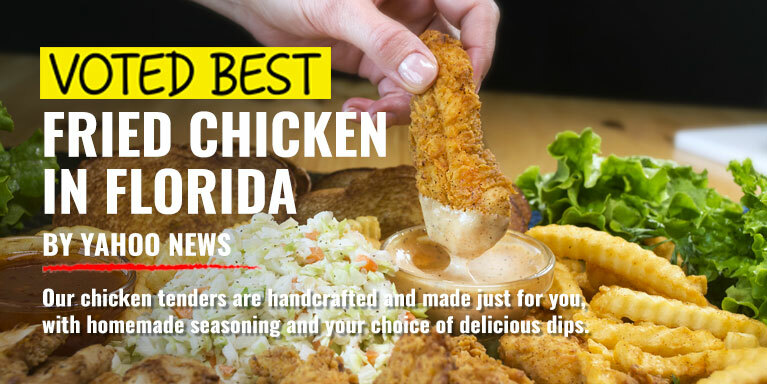 with homemade seasoning and your choice of delicious dips. 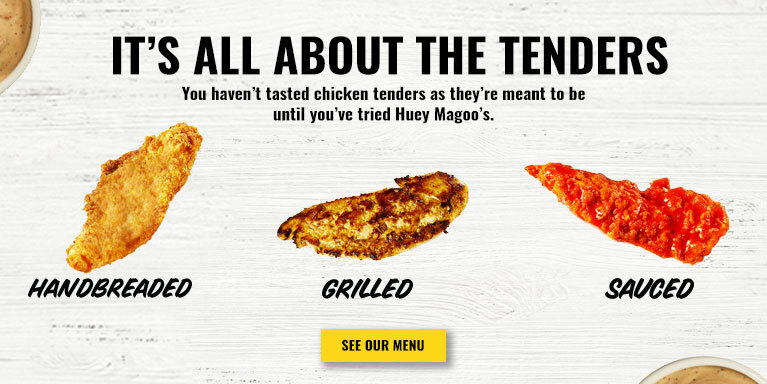 You haven’t tasted chicken tenders as they’re meant to be until you’ve tried Huey Magoo’s. Score Big with your Friends and Family Tonight! PLUS MONTHLY OFFERS, PROMOTIONS AND MORE! 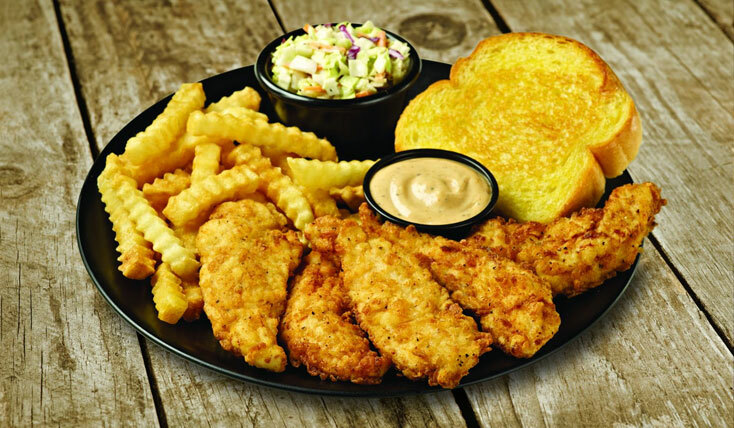 Great chicken tenders and French fries. Fantastic drink selection as well. Make sure to get the Magoo sauce! As a pretty healthy eater, I wasn't so sure at my coworkers pick of this place for lunch. Hallelujah, it's not all fried chicken. Sure you can get the fried chicken and fries and bread, but they also have grilled chicken, salads, and veggies. I am a fan of Magoos Favorite Salad with grilled chicken and raspberry dressing on the side. I was introduced to Huey Magoos a few months ago, and ever since I can't seem to stop going! Amazing, friendly staff and good chicken. What more can you ask for! Better than Chick Fil A! My boyfriend and I LOVE Huey Magoos! No drive thru, but you need the full experience! Sit at the cow top looking table. They also have a Coca Cola freestyle machine! Any drink you want! I love this place. I had the Grilled Buffalo Chicken Salad and it was amazing! All fresh ingredients and a friendly staff. We will definitely be back. Hopefully soon! Really impressed with this chicken joint. The food is fantastic. The service we received was really good. The food takes a little longer than some other places, but they bring it to you and the atmosphere is comfortable. Tell them it's your first time and you'll get a free sauce and they'll give you a rundown of the menu. The price is really good for the quality of food that you receive. The only improvement I would suggest is more fries to come with the meal for two. Give this place a try! Love this place for Chicken Tenders. 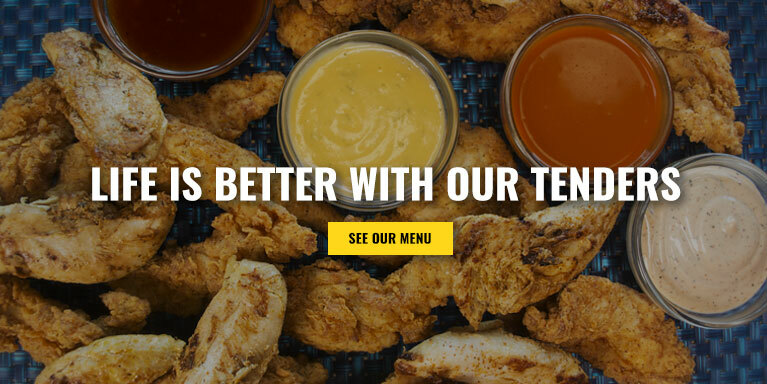 Their Honey Mustard is good, the chicken is always tender, they have fresh cut chips, and KIDS EAT FREE on Mondays. Can't beat that! Glad to have a local chicken stop. I love this place. The chicken is very good and there house sauce is delish. At this location the staff is quite nice and attentive. I make a mistake and they were very nice and accommodating. The wait is ok. It's always a little longer here then most because they make them fresh (they say they do). I would recommend. 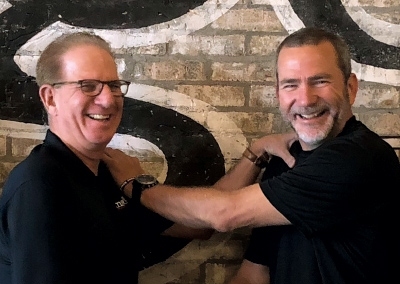 Keep up with the flock and all things Huey Magoo’s featured in our recent news updates below.